Focused on my collegiate team but enjoy special projects as well as a summer cross country camp and winter track clinic where we provide foundational knowledge for high school athletes to better themselves and compete at higher or the highest levels. 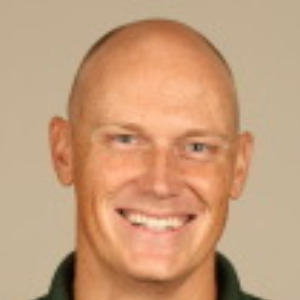 Jon Capron is an assistant coach, after completing an outstanding four-year career at Baylor. Capron serves as the assistant head coach for cross country, handling the men's team. In track, his primary duties include the men's distance runners and intermediate hurdlers. Capron, who was born in Honolulu, Hawai'i, was a three-time all-state cross country runner at Eldorado High School in Albuquerque, N.M. At Baylor he specialized in the middle distances while he received his bachelor's degree in education in 2003 and his master's degree in exercise physiology two years later. He is married to the former Kelly Pace, who is also a Baylor graduate. The couple and their sons Caleb and Luke, and daughter Abby, live in Hewitt, Texas, just outside of Waco. Success. Coach Jon Capron has been notified of your message.